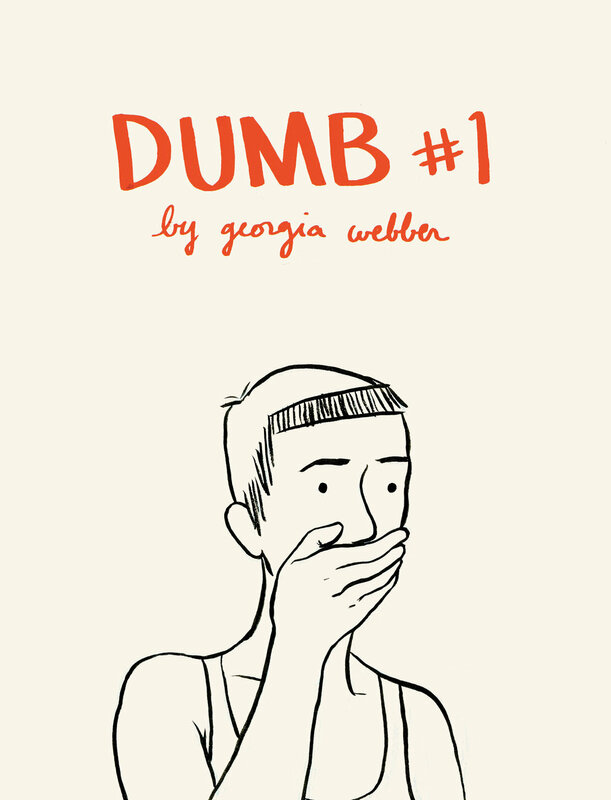 Dumb’s protagonist, Georgia, lives the relatively carefree and ordinary life of a twentysomething in Montreal: working at a café, volunteering at a local bike co-op, and going out on the town with friends. But when a sudden unanticipated throat injury forces her into months of silence, her life is thrown into disarray. Unable to work her customer service job, she must find new income. Conversing with friends becomes complicated and exhausting. And she is forced to give up a hobby she loves — singing! Navigating a world that appears to be closing in on her seems more and more impossible. 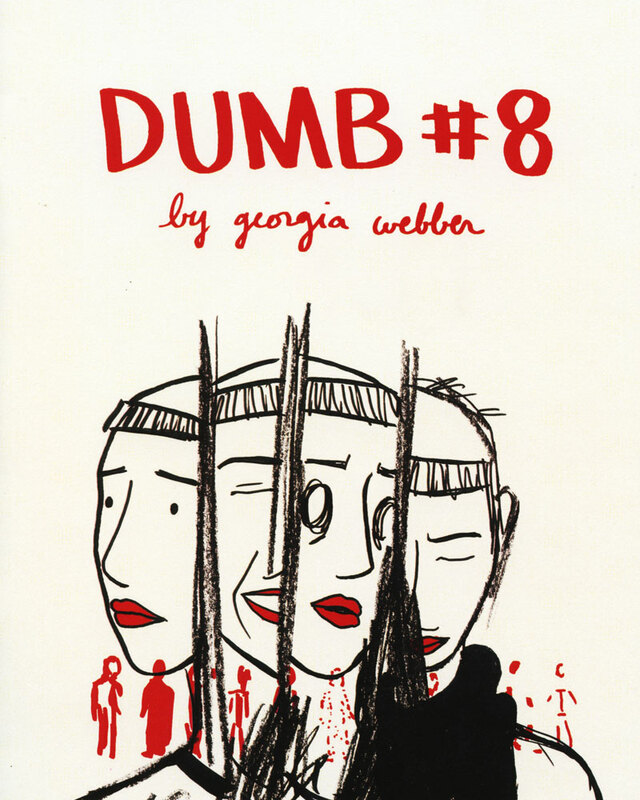 "In Dumb, the feeling of powerlessness to express oneself is expressed in a completely articulate and powerful cartooning voice. 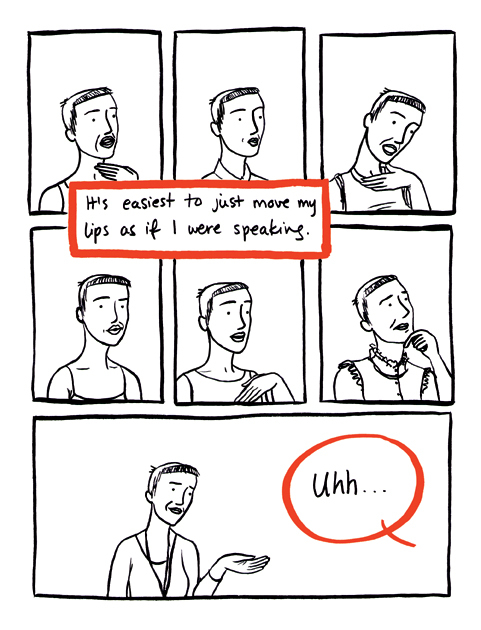 It's a totally fascinating and meaningful comic." "...[Webber] never plays for her audience’s sympathy, instead trusting in her visual storytelling skills (which are quite considerable) to accurately relate her journey with supreme emotional honesty." 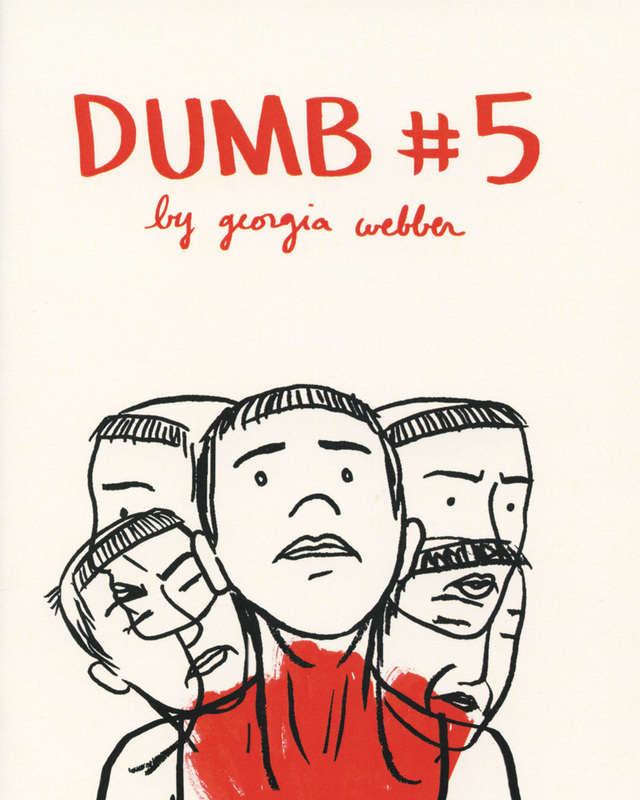 Excerpt from Dumb #4: The Code. "Told in bold strokes of black and grey against a white background with additional lashings of bright red...this is an art style which is impressively detailed yet seemingly remarkably casual in nature." 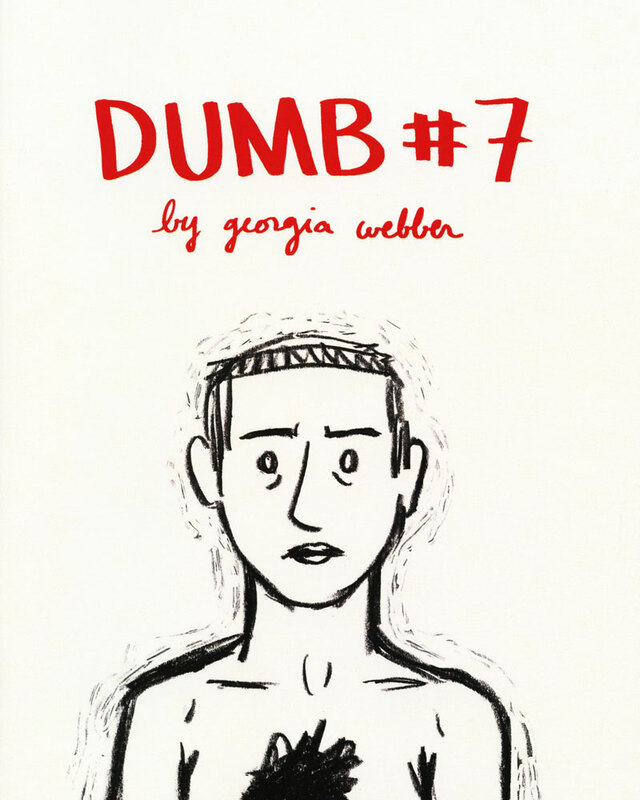 "Georgia Webber's storytelling is so effective, and expressive, and imaginative. It's very inspiring, and I admire her innovative and resourceful spirit." "Webber has a confident, matter-of-fact cartooning style reminiscent of the late and much-missed British artist Andy Roberts. However, while her figurework is strong and appealing, she also has an imaginative, fluid approach to the form that she uses to match perfectly the tone and technical challenges of the story she wants to tell." 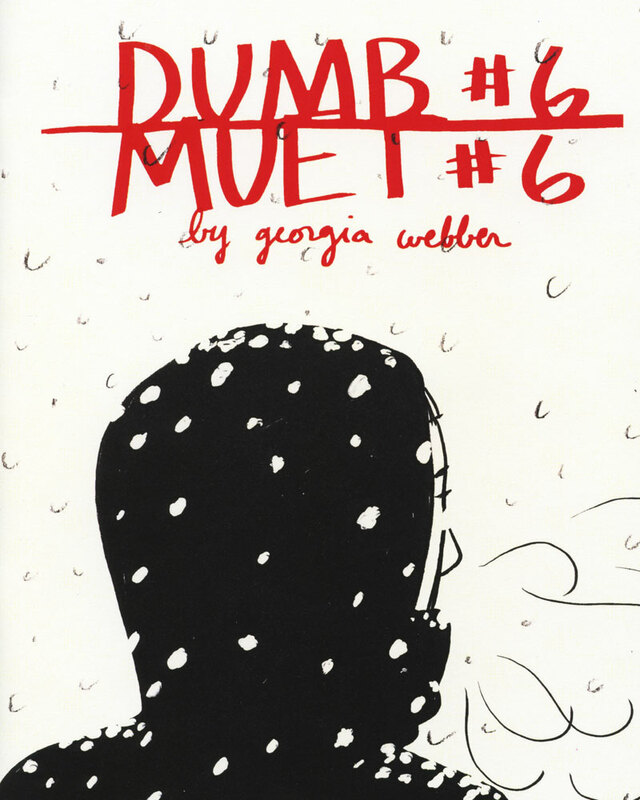 "Georgia's comics are raw and textured like a real diary; when I'm reading it's like I'm in her head, absorbing her thoughts and feelings. 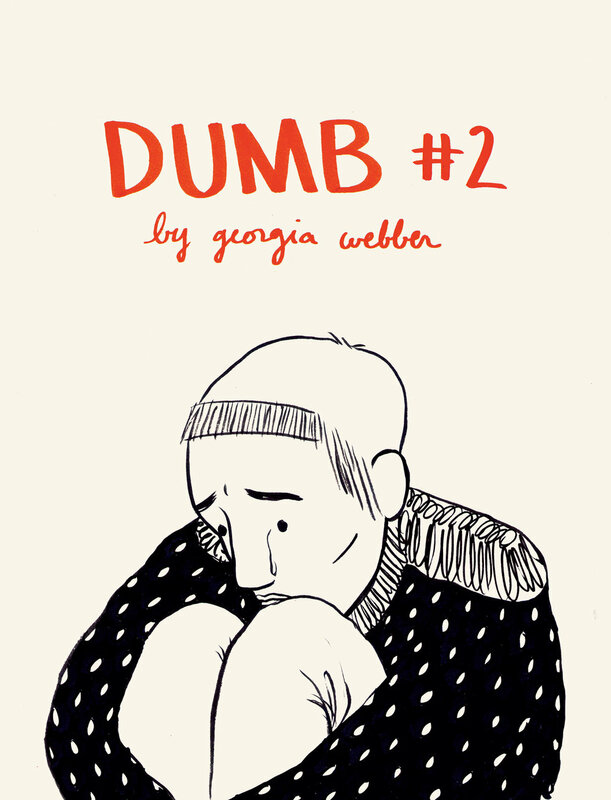 Dumb is a graceful debut as a visual artist and comics creator." "Simple visual cues provide elegant symbolism...What the book becomes is an ode to doggedness and a testament to resilience through change."